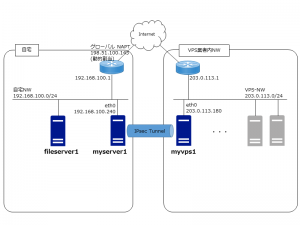 user@myserver1:~$ sudo sh -c "echo '01' > /etc/ssl/CA/serial"
user@myserver1:~$ sudo sh -c "echo '01' > /etc/ssl/CA/crlnumber"
database	= $dir/CA/index.txt	# database index file. user@myserver1:~$ sudo cp /etc/ssl/private/myvps1.key . 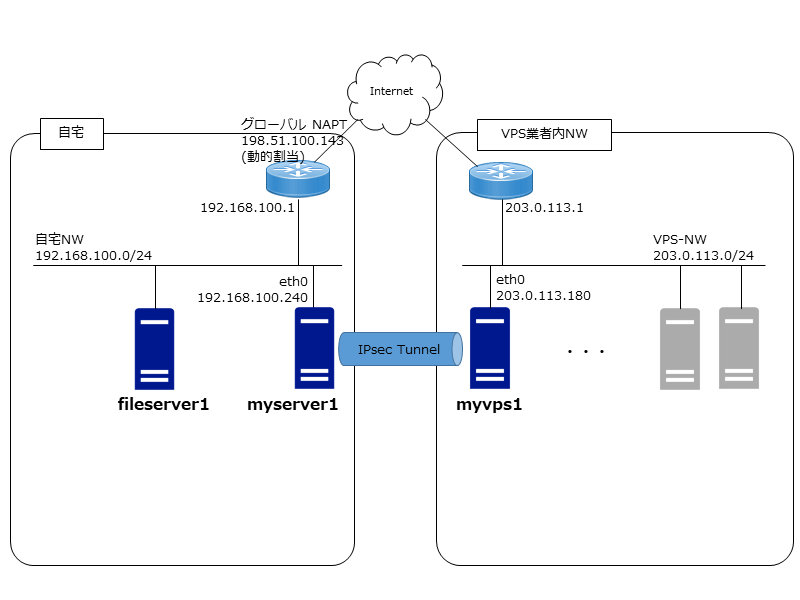 leftid="C=JP, ST=Aichi, O=Home, OU=Server, CN=myvps1.example.com"
rightid="C=JP, ST=Aichi, O=Home, OU=Server, CN=myserver1.home.example.com"
leftid="C=JP, ST=Aichi, O=Home, OU=Server, CN=myserver1.home.example.com"
rightid="C=JP, ST=Aichi, O=Home, OU=Server, CN=myvps1.example.com"
Created symlink /etc/systemd/system/multi-user.target.wants/openvpn-server@udp7231.service → /lib/systemd/system/openvpn-server@.service. 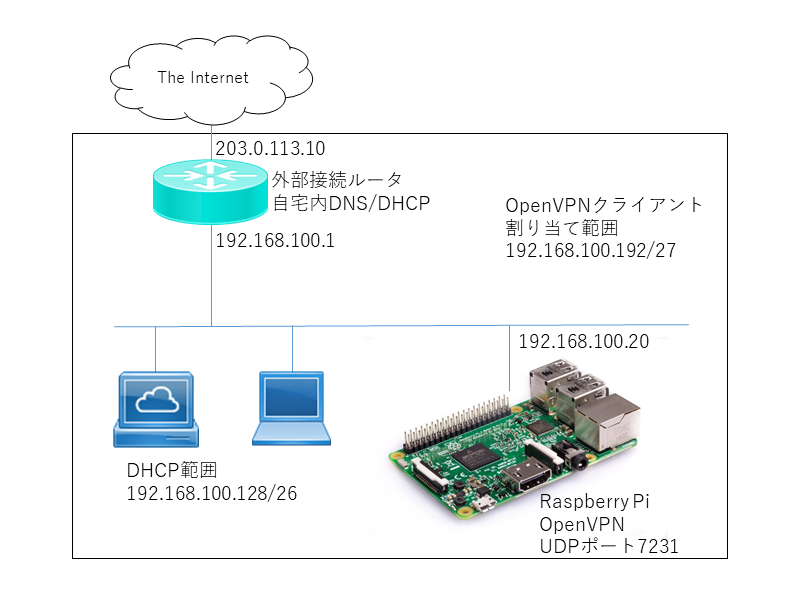 Created symlink /etc/systemd/system/multi-user.target.wants/openvpn-bridge.service → /etc/systemd/system/openvpn-bridge.service. 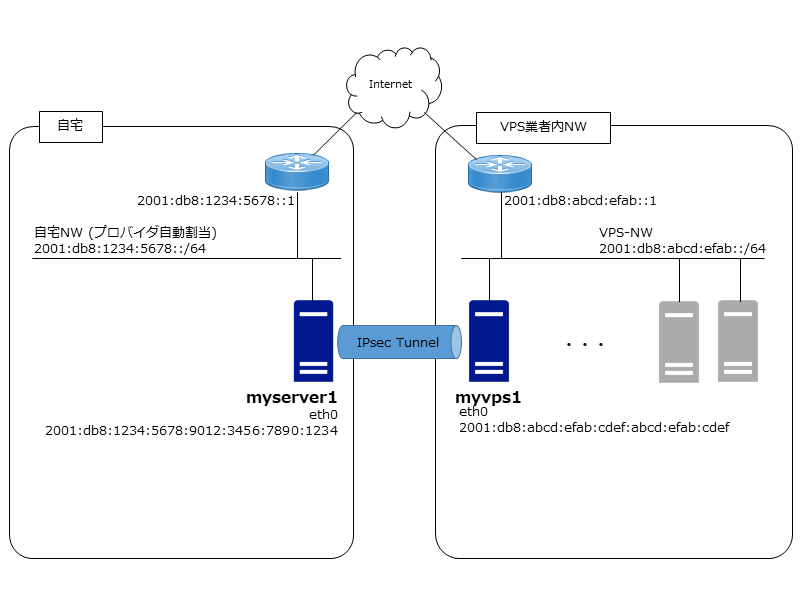 rightid="C=JP, ST=Aichi, O=Home, OU=Server, CN=myvps1.vpsnet.example.com"